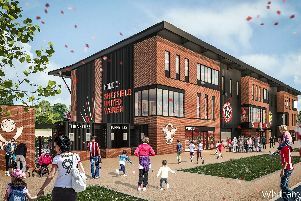 Sheffield Eagles’ future could hinge on a separate £35m deal affecting other business interests in the city. The club, seeking new owners, are in discussions with the three parties with just over a month to preserve rugby league in Sheffield. Eagles have been talking with one group for months, but whilst negotiations are at an advanced stage, the sticking point is with an unconnected investment the group are looking to put together. So whilst Eagles are ready to do a deal, they know the takeover will only go through if the potential investors get the green light on their expansion plan. That doesn’t help Whaling who has confirmed that the club can only continue in its present state until the end of the season. Disclosure contracts prevent Whaling going into detail, but he did reveal the wait is over rubber-stamping an identified plot of land to expand the consortium’s current business. Whaling has also pressed ahead with talks with two other contenders. There is also now the possibility of a very late bid from a fourth group, with Whaling holding initial talks at the start of this week. On the field the Eagles secured their place in the Championship Shield semi-finals after beating Workington 62-0 at the weekend.